We all know that winning only matters if you look good doing it. Fortunately, Fortnite has a lot to offer when it comes to fashion. You can get a few new skins and switch up your character’s looks in just a few easy steps. The only hard part is figuring out which skins will make you look the best! The first thing that you have to do is decide how you are going to unlock your skins. You have two options. The first option is to buy the skins individually, with V-Bucks. 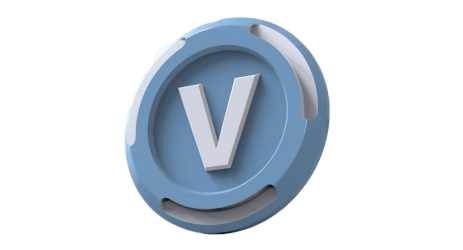 You can get the V-Bucks in a few different ways. It is possible to earn some of them by completing some tasks in the game, such as through the daily reward. You can also purchase them with real money, which is much faster and makes sure you can get the skins you want when you want them. This is the best option for people who prefer to earn their skins slowly over time, or who only want to buy a couple of them. The alternative is to buy a Battle Pass. That acts as a package deal that offers a bunch of unlocks over time. It generally costs less than buying outfits individually, but it does take more time. It is a great choice for very frequent Fortnite players, or for those who want to change their outfits frequently, but it isn’t quite as good for casual players who don’t need all of the extra options. You can also use both methods if you like. The choice ultimately comes down to your preferred style of play and how much you want to invest in the game. This is the hardest part because there are so many different skins to choose from. You can look at the skins that are available in the game’s shop, but it is generally easier to look through the list on the game’s wiki. The list makes it easy to sort out the skins that interest you and find the total cost to make sure that you have budged enough V-Bucks to get them all. Once you’ve finally looked through all of the options and made your choice, you just need to go into the in-game store and buy the skins. Be aware that the shop’s inventory can vary over time, so not every item will be available when you go shopping. If you want something that isn’t available, save your V-Bucks and wait for it to cycle into the store again. On the other hand, you should be sure to buy the items that you like when you see them in the store so that you don’t have to wait for them to come back later on! Applying your skins is easy. Just go to the locker tab in the game’s menu, and flip over to the section for outfits. You can equip your skins from there whenever you are between games. This tab will also show you how your character looks, so you can make sure that everything is the way you like it before you head into the game. Be sure to experiment with all of your skins until you get the perfect look! That is all it takes! All that’s left is to take your character into the game so other people can check out your great fashion sense as you beat them. Remember that there are a lot of options, so you can do this again whenever you want to freshen up your look!